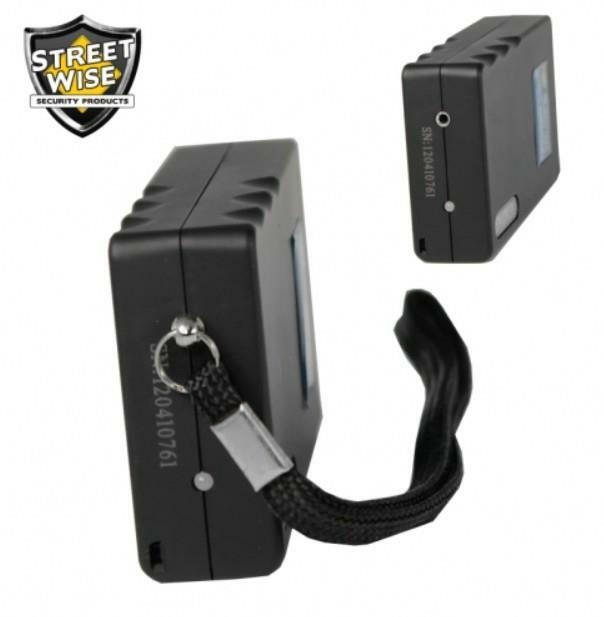 The Streetwise Blackout Stun Gun 11,000,000* is powerful enough to immobilize an attacker yet it can actually be concealed inside a pack of cigarettes! This model offers many features that are normally not found in this size stun gun. 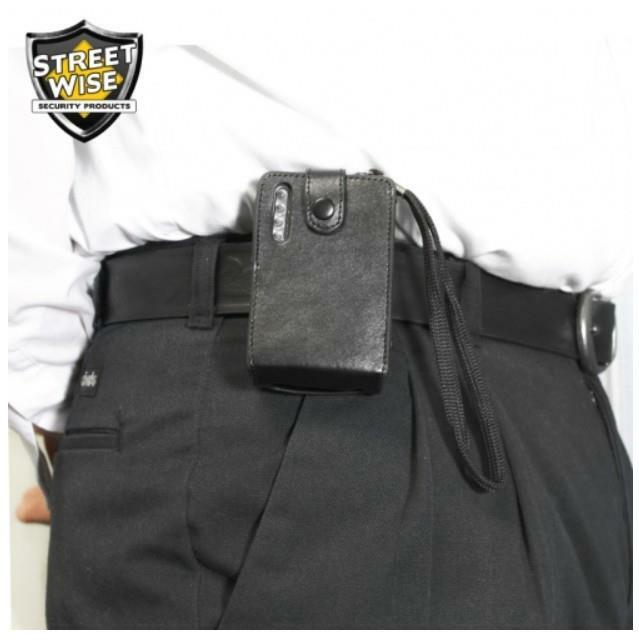 For instance, for quick access, the light and the stun gun can work without removing the unit from its holster and it includes an optional disable pin. 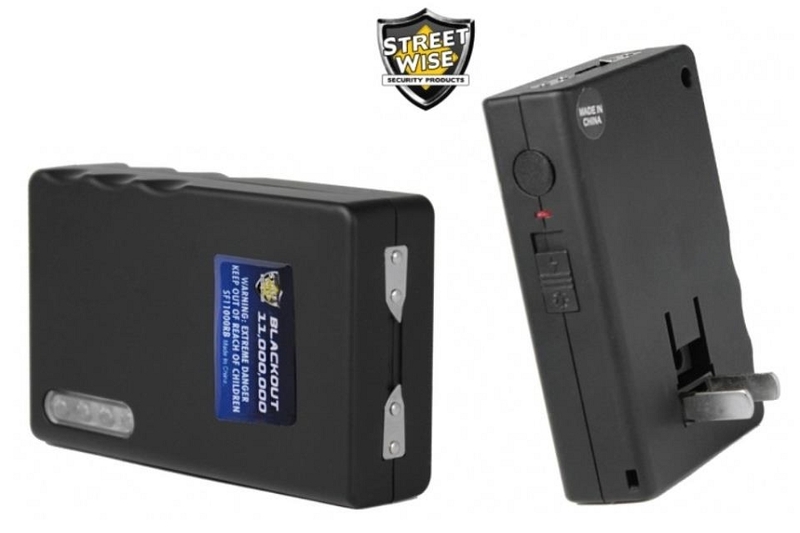 This allows you to choose whether or not you want to use the feature that prevents the stun gun from working if it is ever dropped or taken away from you. 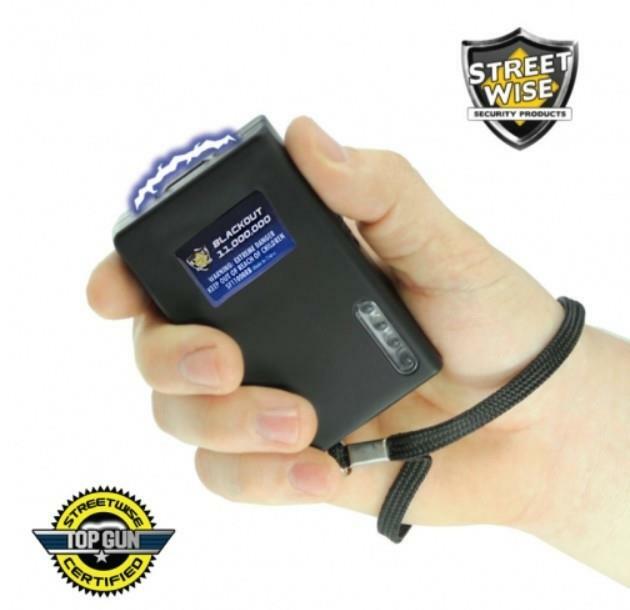 The Streetwise Blackout Stun Gun easily fits in the palm of your hand or can be carried in a pocket or purse. Its rubberized shell makes it easy to handle and grip. The unit is rechargeable (rechargeable batteries are included) with a built-in plug for easy charging. There are no cords to keep up with; simply plug into a standard wall outlet. For those who would prefer to carry it in a holster we have included a small heavy-duty leather holster with belt loop. Just test firing this unit into the air is often enough to stop an attacker. As the bright electric current pulsates between the test prongs and creates an intimidating electrical sound an attacker with any sense at all will be stopped in his tracks. If the sight and sound doesn't stop them a jolt from this unit certainly will! When an attacker is touched by the Blackout it will disrupt the message the brain sends to the voluntary muscles. Simply touching an attacker for three to five seconds will deliver a high voltage shock causing loss of balance and muscle control, confusion, and disorientation bringing him to his knees and making him incapable of further aggressive activity. Full recovery takes about five to ten minutes and there is no permanent harm. Lifetime Warranty: The Blackout is made of the highest quality components and comes with a lifetime warranty.